Activity for sparking memories and relaxing! 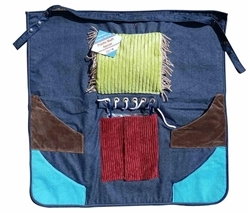 The Fidget Apron with attached Muff is a great addition to our ever popular “Fiddle Muff”. Suitable for male and female adult users, it is weighted sufficiently for the user to feel warm, comforted and secure when using it. Using a selection of tactile materials it is soothing and interactive so it stimulates and relieves restlessness. This busy apron is made from a durable, yet soft denim material with a plush fur waffle design to the rear, preventing the apron from slipping and secured with an adjustable strap. 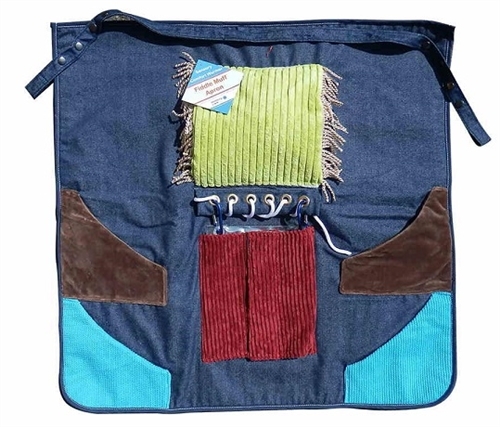 The front of the fidget apron incorporates a version of our best selling “fiddle muff” with a tactile, plush lining and a soft, squeezable, anti-stress ball designed to keep the hands warm and occupied. There are 6 detachable clear PVC pockets are discreetly secured behind a hook and loop corduroy flaps. These can be used to hold and display photographs or notes. Secured with 2 carabiner clips it is removable for machine washing. 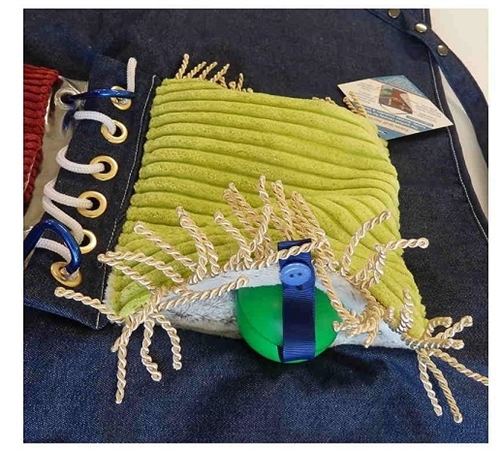 Fidget Aprons have become popular among aged care and hospital residents with anxiety and dementia.